Why Choose Our UPVC Windows? Our expertly made UPVC Windows illustrate the latest advances in window design and security. All batches of raw materials are tested for quality and consistency before being expertly manufactured. 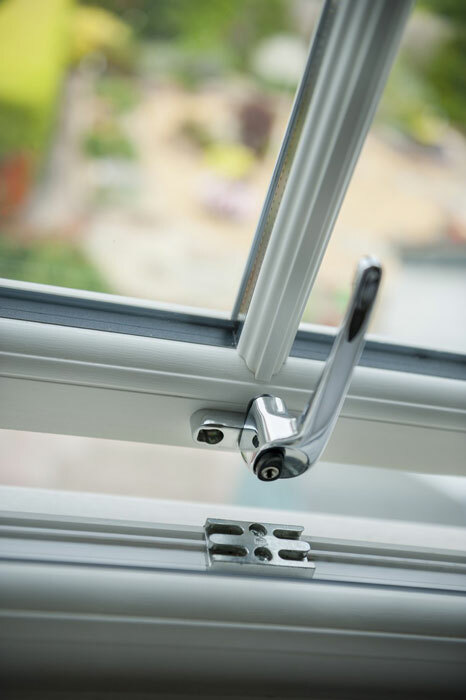 Every KC window features a full depth Eurogroove which ensures that high security products like shoot-bolts can be fitted without danger of breaking into the drainage chamber. UPVC Colouring guaranteed not to fade. Made to measure for a weathertight fit. Fitted with high security window lock technology. Fitted with a high quality seals improving weather resistance and heat retention. Our Range of UPVC windows are guaranteed to bring the outside in. We offer Casement, Tilt and Turn, Vertical Sliding Sash and Flush Sash in a range of finishes. All of our windows are fitted with A grade glass, this makes them extremely thermally efficient reducing your energy bills over time. Tailor-made to suit your home, every window from the range is individually manufactured to your exact specification. We always put safety first, so you can rest assured that your window will keep unwelcome visitors out. All our windows feature advanced security systems as standard to give you maximum security and peace of mind. Our windows are available in a range of colours and come with a choice of complementary hardware.